Shop JBL PRX 418S 18 Inch Passive PA Subwoofer from AMS with 0% Interest Payment Plans and Free Shipping. 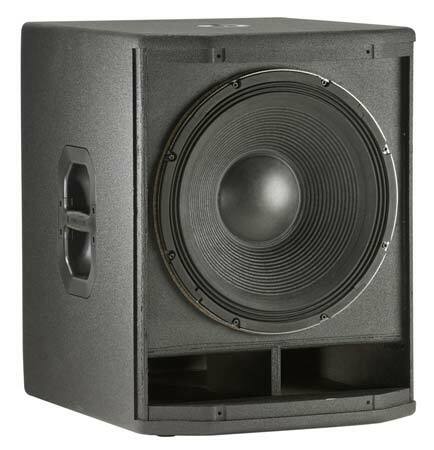 The JBL PRX418S PA Subwoofer is an eighteen inch subwoofer which, when combined with two-way models, provides a system capable of generating 135 dB of full-range, high quality audio. For musicians, DJ's, House of Worship, public address, or suspended in a commercial environment like a school or nightclub, the PRX415M can be used with a powered mixer or a full rack of amps and signal processing, delivering the sound power and bandwidth necessary to make loud music sound natural and even quiet speech intelligible. 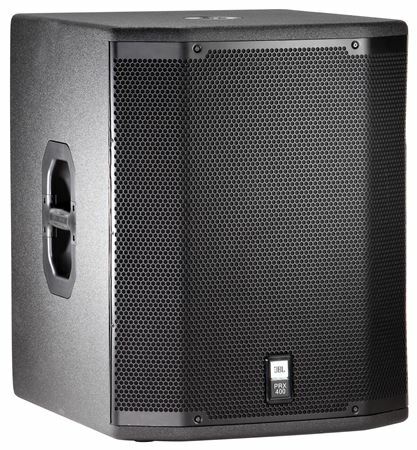 Comprised of tour tested JBL components in rugged enclosures with professional connectors and suspension points, three 2 way designs and an 18 inch sub-woofer tackle tough jobs affordably and professionally. Very happy with these subs. They bring the “thump” you are looking for. First gig I ran sound at, people were coming up and asking what brand I was using. I happily told them “JBL”. I would definitely recommend these. These subs do a great job, as expected. Purchesed a set to go along with my PRX425's and they sound killer, very satisfied. The sound is great! Lows come out clear and crisp everything I could have asked for! it's a very good sub and it is worth it. I give it a 10 because to me it's the best sub I have heard.